A valuable teaching tool, this game asks students to determine the correct answer after hearing the question and then find that answer on their playing card. 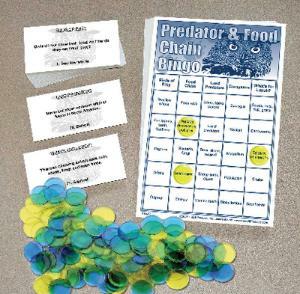 Categories of questions include Birds of Prey; Food Chain; Land Predators; Ecosystem; and What's for Lunch. 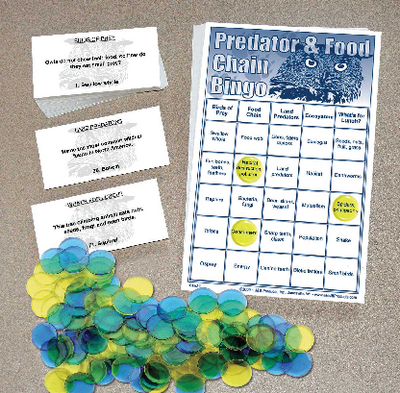 A great extension activity for owl pellet dissection, this Bingo game meets national standards. Game includes 75 question cards, 30 different playing cards, master key, game instructions, and bingo chips in a sturdy box.